The ZillionGrid™ is a “Decentralized Hybrid Blockchain Infrastructure”. This is a decentralized application infrastructure with API and turn key software solutions. It allows for secure data storage, user profiles and digital assets that are cryptographically secured and authenticated using the "Zillion Seal", "Zillion Sharding (ZShards)" and IPFS technology. It runs primarily on the ZillionCoin (ZLN) blockchain which is cryptographically secured via the ZillionFLUX Proof-Of-Work (PoW) algorithm. Any existing and future coin can be added to the grid (coin agnostic) and the current beta version of the ZillionGrid can operate on SHA256 (Bitcoin) and X11 blockchains also. Servers operate on any platform (OS), video of any format and databases of any type. User data is secured, encrypted and validated using hashed "fingerprints", immutably stored on the blockchain of your choice. Grid access is authenticated with our "BlockLogin" mobile app using QR codes (no more passwords!). All servers run a Server Agent which updates server status to the Grid Manager so we can route traffic from API and Software factory to the nearest and most available server. This will eventually be managed by Artificial Intelligence (AI) and Machine Learning (ML) algorithms. When you operate a Zillion Server Node, you are rewarded with a share of the ZillionCoin block mining reward. Similar to traditional MasterNodes, except we use high performing hardware. This generates a steady income for server operators and allows the grid to work without ad revenues. The result is a high performing, secure, and incorruptible network. All servers report their health status to the nearest Grid Manager via a Server Agent. This enables the grid to self-regulate and route all connection requests to the nearest and most available server. The ZillionGrid™ Universal API is a RESTful interface linking all the network resources and make it accessible to any developer out there, no matter what language or platform. Connecting to the ZillionGrid™ is easy and fast. The Payment Gateway allows for integrated micro payments, eCommerce transactions and subscriptions. Since it is part of the API, your application can access any crypto coin without having to install or download any blockchain, we provide and maintain this for you. Our Software Factory provides turn key solutions that are built on top of our ZillionGrid Hybrid Blockchain Network. All applications are database driven and provide easy blockchain access for those who need it. This includes micro payments using any crypto coin integrated in our grid. Eventually we will be able to offer business applications, blockchain specific applications to private users and small to medium size businesses (SMB’s). These applications will be subscription based and can be configured using a simple wizard process. Our Zillion Suite (Office Suite) and Zillion Studio (Developer IDE) will be free of charge, reducing the threshold for entry even further. The ZillionBrowser is the window to the ZillionGrid. 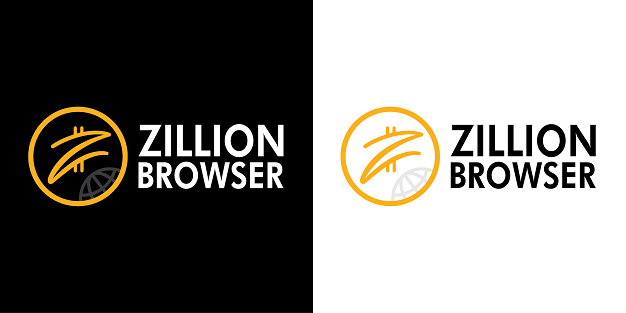 Fully compatible with existing website, the ZillionBrowser also manages your Zillion Profile, Zillion Mail (including audio and video) with attachments using IPFS. Our grid browser is built on JavaFX code (we are aware of the inferior rendering for now) and you are in FULL control of your browsing history, cache and cookies. There is no tracking and we do not store any personal data. You can choose to store your data locally and sell on the Zillion Ad Market yourself using smart contracts. We also feature a Chromium version for those who like being tracked by Google (we turned off everything we could). 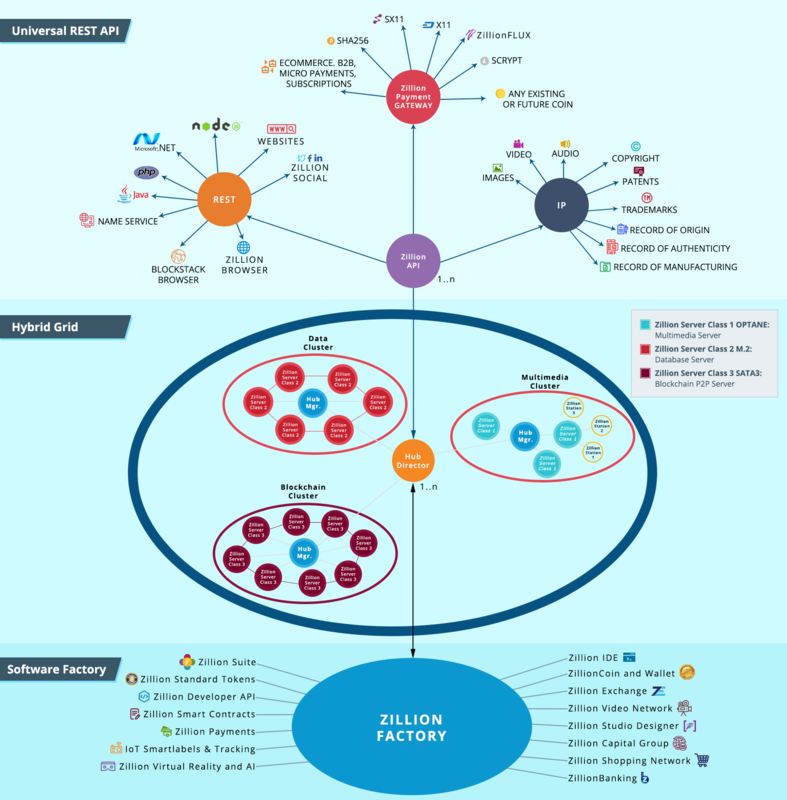 The ZillionLogin is the cornerstone of our Identity Management module. You can register with your smart phone and that unique combination is store on the blockchain. All we need to do is verify the hashes of your profile to verify it's really you using our ZillionSeal technology. Any website can request ZillionLogin participation and verify all access using QR codes that can be verified via smartphone. 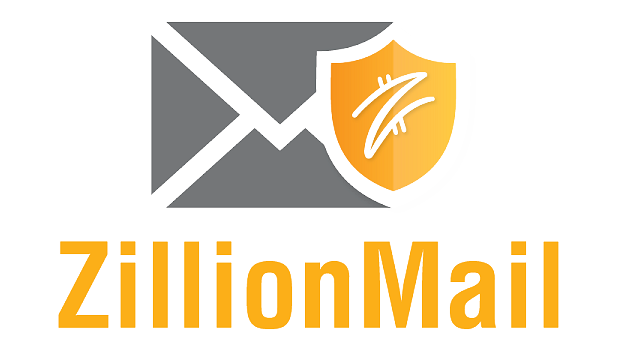 Our ZillionMail program is similar to email, but integrated in our ZillionGrid infrastructure. Messages can be sent between profiles including voice and video mail. Attachments can be included and are encrypted, sharded and distributed separately on our decentralized infrastructure, including IPFS. Your local install can include a database that can be encrypted and synced with the grid (if you desire to do so). It also features direct wallet integration for your blockchain transactions. The ZillionWall is our version of a decentralized social network, dealing with real people. One of the main differences is that you own your data, nothing is centralized and your data can't be accumulated nor sold (except by you if you decide to do so). Our document, audio and video galleries allow for easy asset management and will eventually be integrated with micro payment systems. This will become your home on the grid! 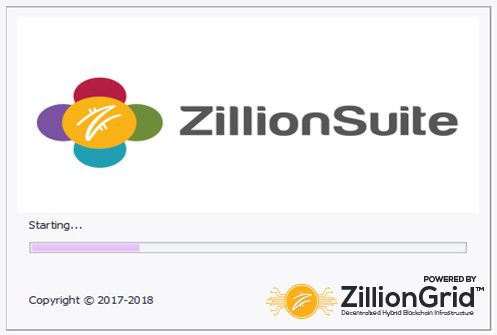 The ZillionSuite includes everyday applications such as messaging, word processor, spreadsheets, scheduler and much more. Many modules are compatible with current market applications including Microsoft Office. Documents can be stored locally, in the cloud or on the ZillionGrid™. Your documents can be encrypted (or not). You can include them in your profile to make them accessible using the “ZillionBrowser”. If you like, your documents can be locked so you can sell them for any crypto currency that’s operational within the ZillionGrid™. 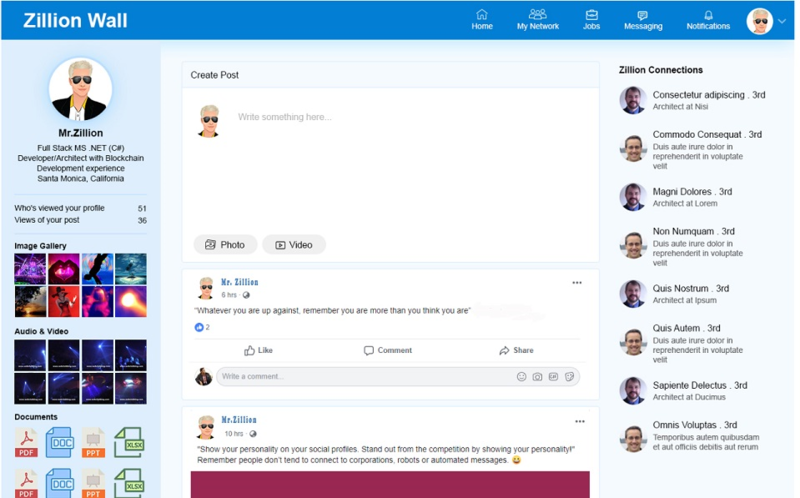 Every user can create a social profile and just like with all other ZillionGrid assets, you can make it Public, Private or Shared. You always retain full ownership and control of your data. To provide easy access to this API, we created the Zillion Studio IDE (Integrated Development Environment), much like Visual Studio (for Microsoft products), Eclipse (for Java developments) and other EDI’s. We are planning to promote the “Visual Blockchains” programming environment, OO (Object Oriented) controls that directly create useable blockchain applications. Since our ZillionGrid is “technology agnostic”, we can integrate any current and future blockchains, databases and file formats. The Visual Blockchains environment takes care of all the heavy lifting so that the user can focus on real world and RAD (Rapid Application Development) application building. 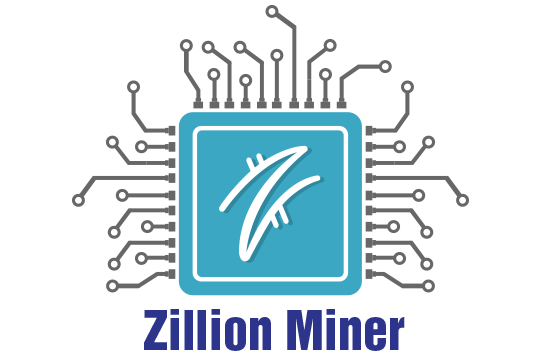 Right now, ZillionCoin mining is possible via built in wallet CPU miner. As total net hash rates will increase (as more miners join) and ROI decreases, we are planning a GPU rollout including a variety of hardware devices that are turn key ready. We also provide technical support in case you run into trouble. Our mining equipment can be upgraded, and you decide how much hash power you like to contribute to the ZillionCoin blockchain. The ZillionCoin wallet is currently open sourced and available for download via the ZillionCoin website. This is the first blockchain we support, there will be more coins as the ZillionGrid™ expands. The wallet has a CPU miner built in, all you need is to click the “Start Mining” button and you will be generating coins immediately. 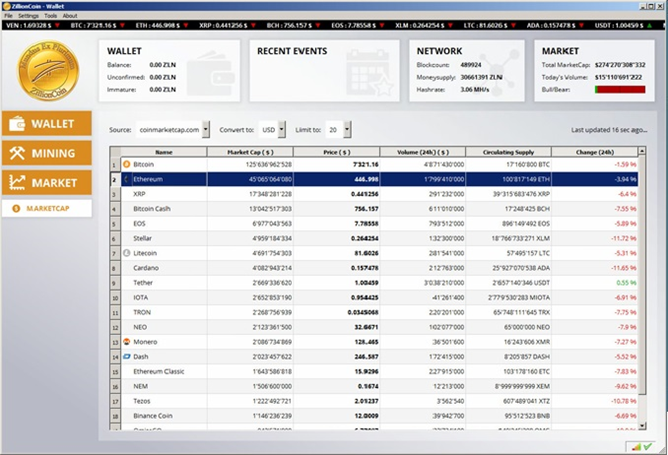 The wallet has a “Network” indicator showing the total net hash and includes a “Market Sentiment” indicator. Green means Bull market conditions, red means Bear market conditions. This is a generic indicator of how the total crypto market is performing and is not to be interpreted as investment advice. More wallet features will be introduced as the wallet is in constant development by the open source contributors. This software solution manages "Rich Media" files (Audio, Video, Images, Documents) on the ZillionGrid™. It consists of 2 parts: the “Content Provider” and the “Content Receiver”. As a "Content Receiver" you can setup your own webcast station, create webcast channels using the content that was submitted to you by the "Content Providers". Our network "restreams" all channel content simultaneous to other existing social channels (if you must) such as YouTube, Facebook, Instagram, Twitter Periscope or any other standard streaming protocol (such as RTMP or RTSP). Since our TransCasting Studio is linked to the ZillionGrid (which can process crypto micro transactions), you can receive instant compensation for your content. No middleman, no 90 day bank transfers, these are instant transfers into your wallet each time your content is accessed (as per your setup). We are currently testing a Live Streaming News Station for anything crypto related. This is one of our ZillionGrid applications using the TransCasting™ Video Distribution platform. The software is linked to the ZillionGrid using the TransCasting Studio and anyone can contribute video segments. Since you retain ownership you decide how your content can be used, if it’s available as PPV and you decide the crypto currency you accept as payment. We're also planning a syndication mechanism, so you get paid wherever your content is played anywhere on the grid. You can also decide if it can be archived and made available on the ZillionGrid or if you prefer to keep it private. Our integrated “fingerprint” mechanism allows for indexing and protecting your Intellectual Property (IP). We developed our own IoT Tracker including services for Wi-Fi, GPS and Satellite. 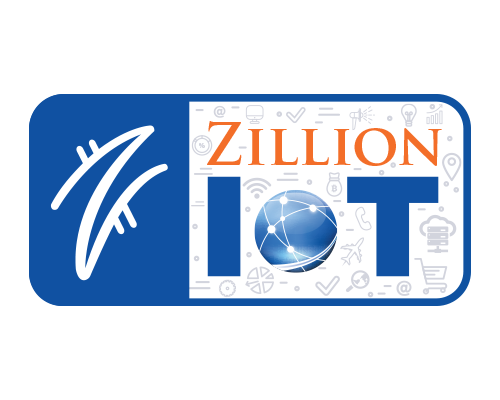 This allows for a wide variety of applications that can be built on top of the ZillionGrid IoT implementation. 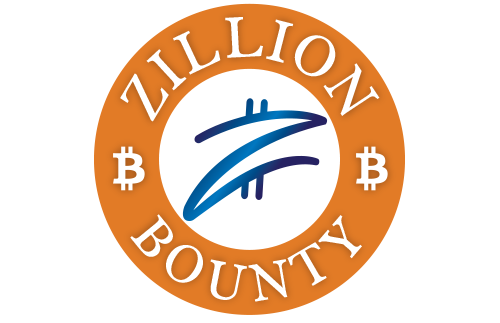 The Zillion Bounty program was inspired by our online community and rewards people for useful contributions. We have bounties for posting on social media, writing blog articles, creating exciting video content and much more. Please check the online reward schedule and start contributing and earning right now. The Zillion Trophy will be awarded every year to people who created new features and contributed to the ZillionGrid programming code base, marketing efforts or all around creative new ideas. The community votes for the yearly trophy. The Zillion University is the place where you can acquire your crypto credentials, learn about anything Zillion related and meet new people to start your business. 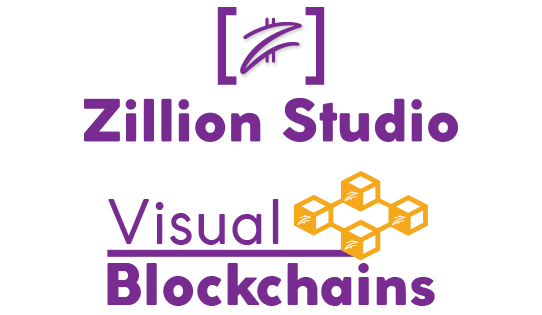 The Zillion University is also the place where you can earn your Zillion Server Node Operator certificates. Please check the online curriculum for more details. The first 1000 certificates are free. 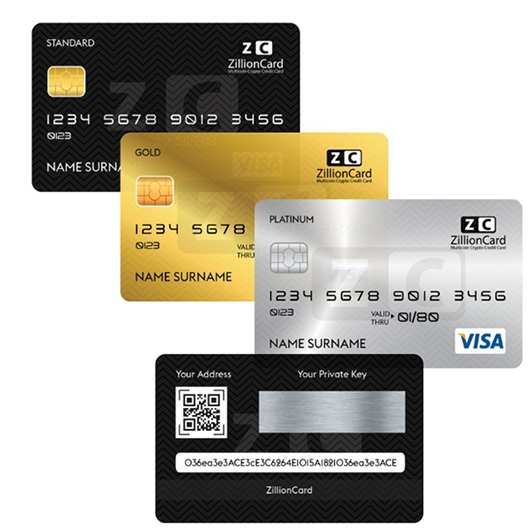 Zillion Cards are in credit card format and can be linked directly to your wallet, miner or server node. Your funds will be accessible with the usual limits, KYC and AML protection requirements. A desktop, web and mobile app will allow you to use your wallet in ways that are similar to traditional financial accounts. Participating merchants will accept your card just like a regular debit/credit card. These cards can also function as reward cards to accumulate points and other incentives.